The eighth volume in the Congress Series published by the International Council for Commercial Arbitration (ICCA), the world’s leading organization representing practitioners and academics in the field, contains the proceedings of ICCA’s 13th International Arbitration Conference held in Seoul in 1996. 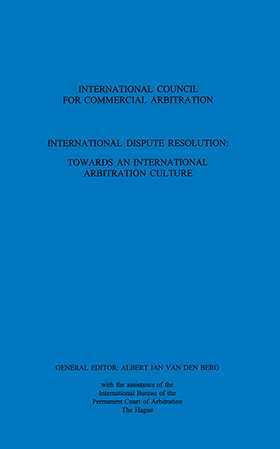 The material presented by leading arbitration practitioners and scholars focuses on four main questions arising from the general theme of “international arbitration culture”: Is there a growing international arbitration culture? Is there an expanding culture that favors combining arbitration, conciliation or other dispute resolution procedures? To what extent do arbitrators in international cases disregard the bag and baggage of national systems? When and where do international courts reflect an international culture when deciding issues relating to international arbitration?